Program description: Beginning 12/2/14 through 1/12/15, Walmart shoppers can find the perfect holiday gift for the music lover on their gift list. 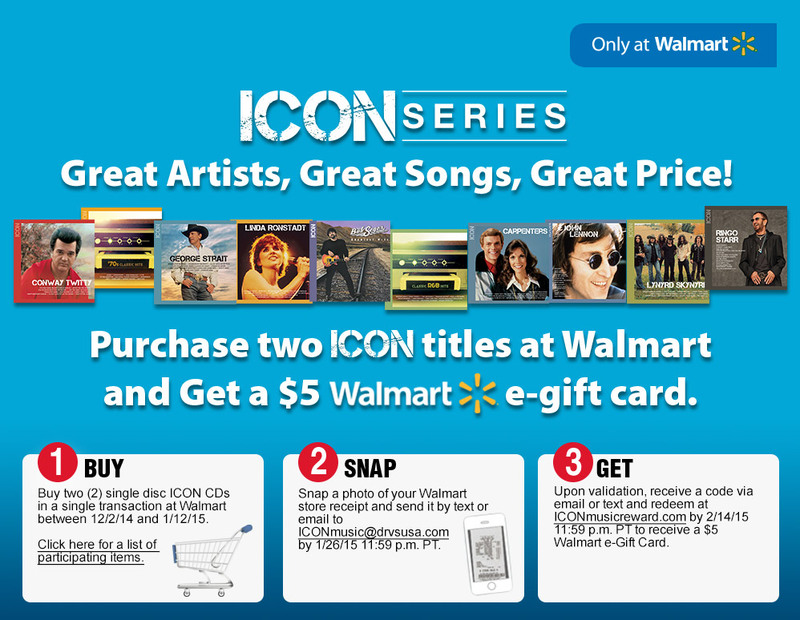 Buy any two (2) ICON CD titles at Walmart and receive a $5 Walmart e-gift card. There’s never been a better time to stock up on the classics from Conway Twitty, Linda Rondstadt, John Lennon and hundreds of other legendary artists. This promotion is only valid when purchases are made at a Walmart store and is a limited time offer.